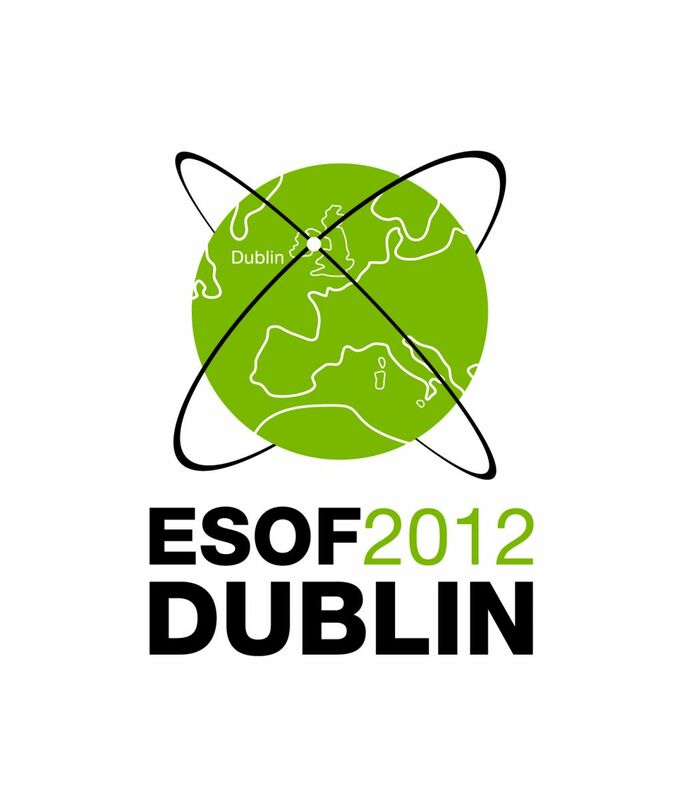 Today marks the opening of ESOF2012 - the Euroscience Open Forum - taking place, this year, in Dublin. 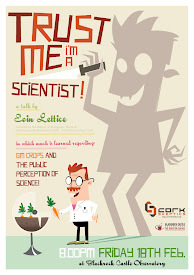 The event is Europe's largest, general science meeting and is held every two years, this year from July 11th-15th. The forum aims to showcase advances in science and technology; to promote a dialogue between science and society; and to stimulate interest, excitement and debate about science. 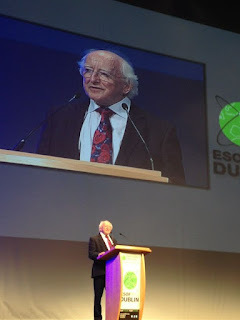 President of Ireland, Michael D Higgins opened the event, pointing out that the achievements and reputation of Ireland in the arts is often mentioned by commentators but that "unfortunately not really all of them would mention prominent parts of the Irish intellectual achievement which is just as important, older and maybe even more central: Bell's Theorem, the development of fibre optics, the splitting of the atom, the Beaufort scale or the effectiveness of the mariner's compass or the many other inventive and forward-thinking achievements which owe their success to the innovation, creativity and above all, original thinking of talented Irish scientists". The President name-checked a number of notable Irish scientists such as Ernest Walton, Robert Boyle, John Tyndall, Agnes Mary Clerke and Lucy Everest Boole who, he said, had laid the groundwork on which today's scientists build. "Science", the President said "is being re-imagined in an era of new and global cultural context that sees it in a far more engaged and challenged way than any functional narrowness of recent times might suggest". 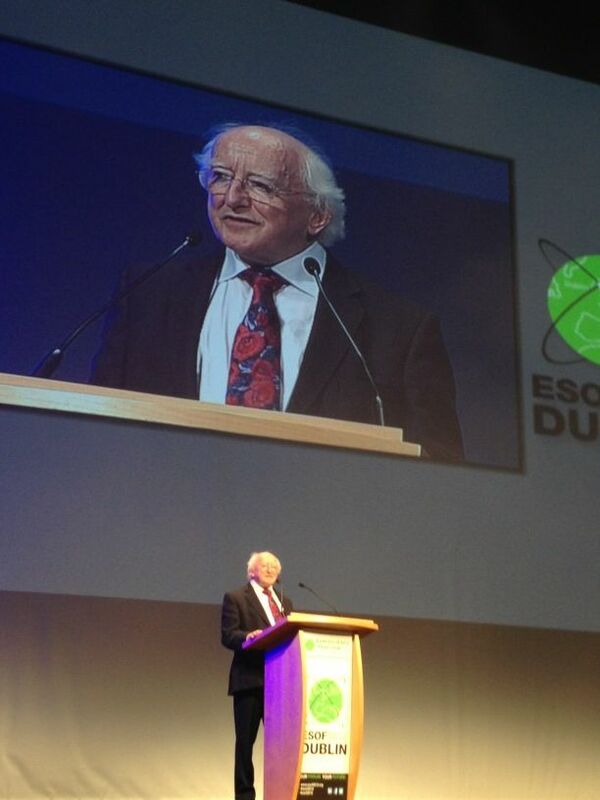 President Higgins welcomed the focus on ethical issues: "The moral challenge is ever greater now.... our new responsibilities are to a planet already made fragile and a global population of which so many, a great proportion, has been excluded". "As a nation, we continue to have much to offer to the world of science and technology", the president noted. 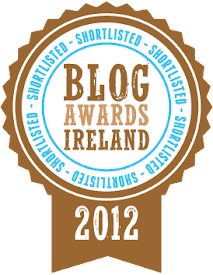 Attracting scientists and those interested in science from around the world, a number of distinguished scientists and policy makers will deliver keynote addresses, including synthetic biology advocate and pioneer Craig Venter; Nobel Prize winner and co-discoverer of the DNA double helix, James Watson; European Commissioner for Research, Innovation and Science Maire Geoghegan-Quinn; Former President, UN High-Commissioner and climate justice advocate Mary Robinson; astrophysicist Jocelyn Bell Burnell; and Director General of CERN Rolf-Dieter Heuer. There's much more to see and hear at CERN and one-day passes are still available for the Dublin Conference Centre. 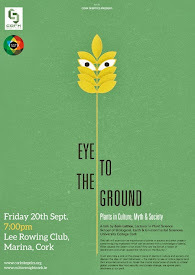 For those who can't make the event in person, you can watch the keynote addresses live via webcast. 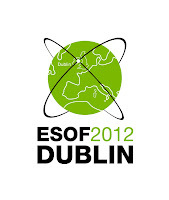 To celebrate the arrival of ESOF2012, the Science in the City programme has been running as part of the Dublin City of Science year-long festival.